Practical and Simple, designed to suit your home whatever is its style, KOEMMERLING casement windows are among the most popular window designs. Hard-wearing material used in KOEMMERLING casement windows is virtually maintenance-free. 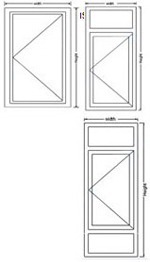 KOEMMERLING uPVC casement window are tailor-made to virtually any height and width, you can have this classic window made to your exact requirement. 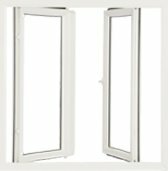 Plus, your casement windows will be fitted to the highest standards and also provides easy cleaning of the outer glass panes.